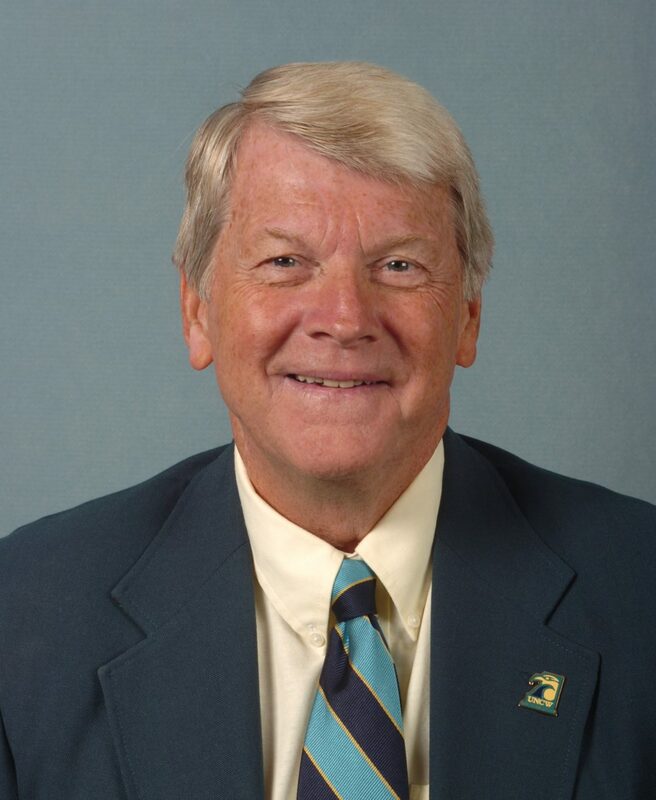 Dave Allen, the founding father and architect of UNCW’s swimming and diving program announced his retirement on March 13, 2015. Allen coached 44 years at 3 different institutions and stepped down on June 30, 2014. Allen, led the UNCW men’s team to an unprecedented 13th consecutive Colonial Athletic Association championship in College Park, MD in 2013-14. He also coached the UNCW women to three championships, including back-to-back crowns in 1998 and 1999 and the 1997 and 1998 ECAC crowns. Allen originated the program in 1977-78 and directed the Seahawks to a combined 16 conference championships, 13 on the men’s side and three for the women, along with a pair of Eastern titles. The ultra-successful mentor was named CAA Coach-of-the-Year 15 times, including 5 for women and 10 for men. A native of Rochester, N. Y. , Allen accumulated 542 dual meet wins at three institutions. Prior to UNCW where he had a record of 494-356 in 37 seasons, he coached one season at Allegheny (4-7) and then six at Postsdam State (44-26). In 1978 Allen and his wife Ellen started the “Seahawk Swim School”, a learn-to-swim program for youngsters ages 3-12. It still operates to this day and has taught thousands of youngsters in the Wilmington and surrounding areas how to swim. Allen was honored in 1987 when he was selected to represent the United States government in a five-week tour of the Mideast. He presented clinics and seminars in Turkey through the U. S. Information Service’s Sports America program. Allen’s student-athletes have also enjoyed great success in the classroom. Eight swimmers captured the Chancellor’s Cup, the school’s highest academic honor for athletes and six of his swimmers have been inducted into the UNCW Athletic Hall of Fame. Allen and his wife, Ellen, have three children, Matt, Brian and Stephanie, who each attended UNCW and competed on the swim teams. They have five grandchildren, Collin, Hudson, Rowan, Bryson and Abigail.